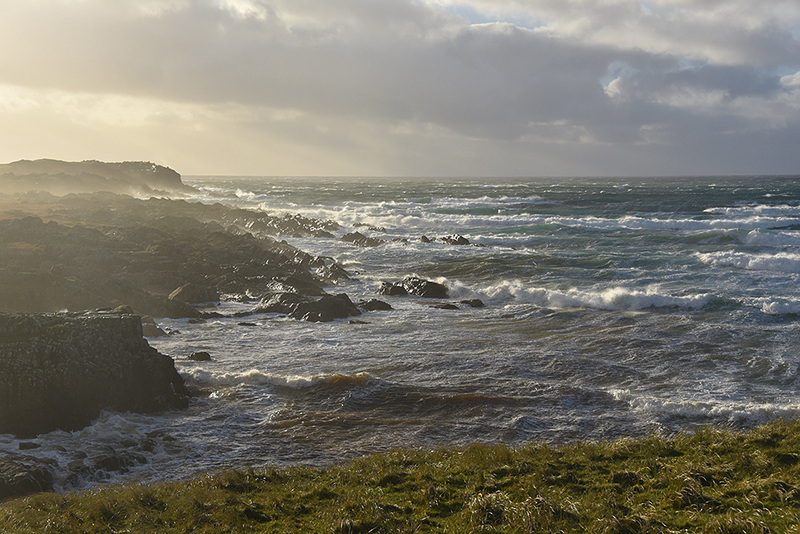 A view from the southern end of Saligo Bay on a breezy day on Islay, Saligo River running into the sea just below on the left. Waves breaking as they roll into the bay, spray being carried over the cliffs by the strong wind. This entry was posted in Beaches, Cloudy Weather, Landscape, New Post, Sunny Weather and tagged Islay, Rhinns of Islay, Saligo Bay, Saligo River by Armin Grewe. Bookmark the permalink.